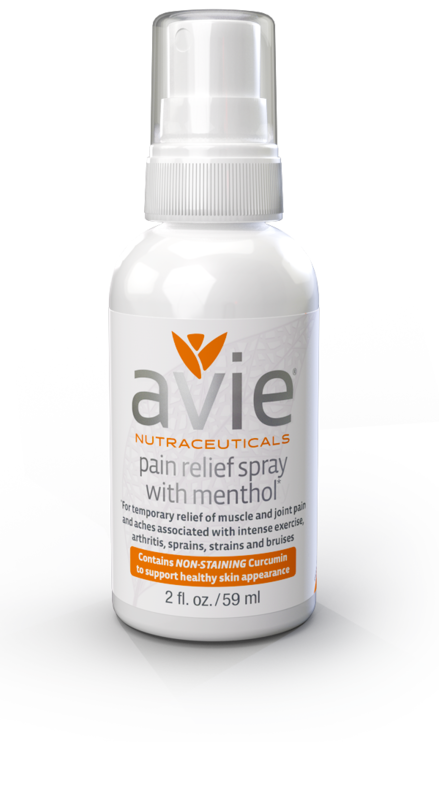 When two-time college football national championship winner and NFL player was injured, he turned to Avie for help. Get one of the most potent Curcumin on the market today and reap the many positive effects established in multiple clinical studies. No wonder turmeric has been used in traditional Asian/Ayurvedic medicine for thousands of years — taking the optimal form of this supplement as part of a healthy diet can provide multiple health benefits. 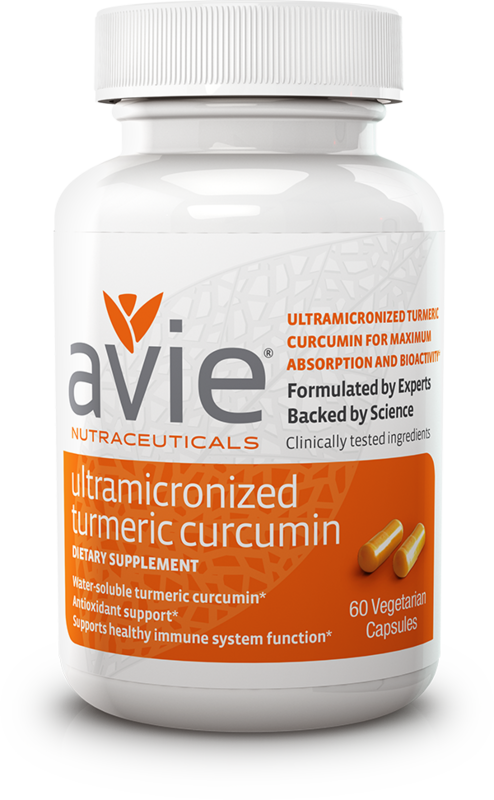 Curcumin, turmeric’s active ingredient, is not easily absorbed in the body until it’s unlocked with Avie’s exclusive Ultramicronization™ process. 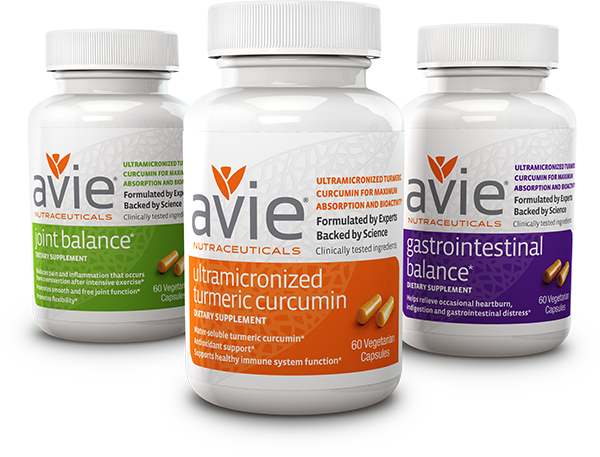 The Avie brand of curcumin products is the “brain child” of a leading scientist who helped develop some of the most popular and highly effective pharmaceutical drugs on the market today. To evaluate the effectiveness of leading curcumin products, Avie scientists conducted tests and found that these products do not easily dissolve making it difficult for them to pass through the intestinal tract with the vast majority of curcumin leaving the body, unused. 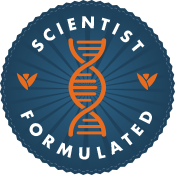 So, with our industry leading scientists, we focused on the creation of an ultramicronized formula, which provides an extremely effective delivery mechanism to the body. Our ultramicronized formula allows our curcumin to be absorbed into the bloodstream and carried to where it is needed most at the cellular level for maximum benefit. Also, when you buy curcumin from Avie, you help someone in need. dissolves versus our leading competitors showing its superior bioavailability! 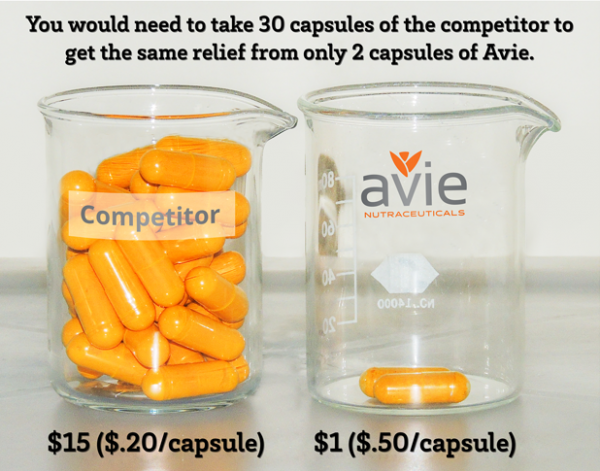 As shown in this time lapse video, Avie’s proprietary ultramicronized formula completely dissolves into water, while the leading competitors simply cannot compare. 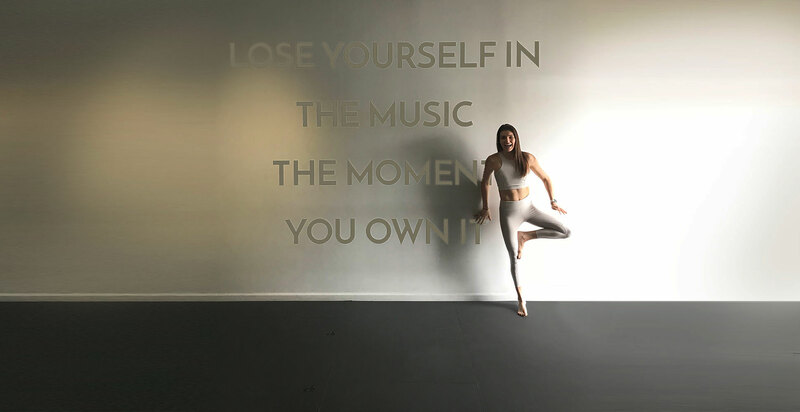 In the body, this is equivalent to the absorption into the blood stream which is over 80% water allowing the blood to carry the supplement to where it is needed most at the cellular level. **Equal amount of each formulation containing concentrations of curcumin was dissolved in water before testing. *** The COX-2 enzyme is an enzyme involved in inflammatory reactions. 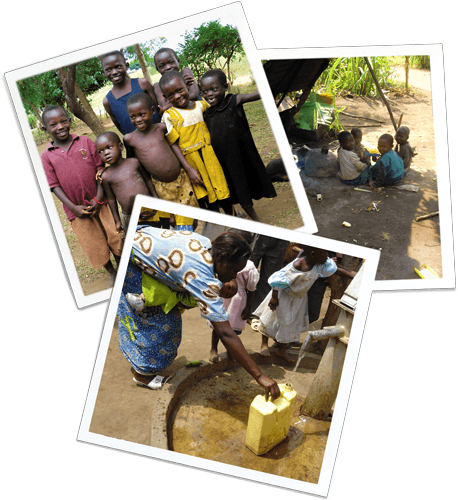 10% of all profits help benefit those in need.